Budding Bean Town producer B Leafs kicks off the week with an all-star posse track titled "Reaganomics." He brings together a team of top grade ..
Today's delivery is brought to you by a Elzhi track remixed by Sourface. It may start to sound like a broken record when you examine the way we have .. 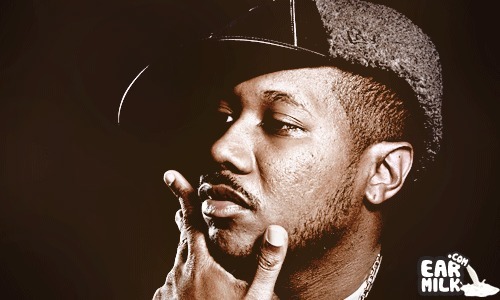 Earlier in the month Elzhi blessed anxious listeners with "Blue Window", the first offering from his forthcoming album, The Weather Man. ..
Dope verses, banging production and most importantly no BS, is Elzhi known for anything but that? For those who need a quick catchup, Elzhi ..
Wow! What an amazing lineup you have with this track. Phonte and 9th Wonder have, of course, worked very closely together as they were both ..
Elzhi recently released his Elmatic mixtape which instantly took everything by surprise. And, the surprise wasn't how good of an MC Elmatic ..
Elzhi and XXLMag have officially dropped the Elmatic mixtape. This 10-track mixtape is, of course, an homage to the greatest hip-hop album ..